Today's Google Doodle celebrates Josephine Baker, a jazz age entertainer, civil rights activist, and cultural icon. Today's seven-slide Google Doodle depicts the life of Josephine Baker, a woman who has been compared to Beyoncé (for her physique) and Angelina Jolie (for her many adoptions from around the world) — both of whom she predates. Featuring Baker continues this year's Google Doodle trend in honoring prominent civil rights activists. [post_ads]Baker grew up in St. Louis, Missouri, in the early 1900s and began dancing and singing with the Jones Family Band and Dixie Steppers. She made her way to New York and joined the chorus of the musical Shuffle Along. But it wasn't she moved to Paris in the mid 1920s that she achieved widespread acclaim as jazz icon and found her true home. As the star of the musical show La Revue Nègre, Baker became famous for the Danse Sauvage. In it, she appeared on-stage wearing a banana skirt and little else. 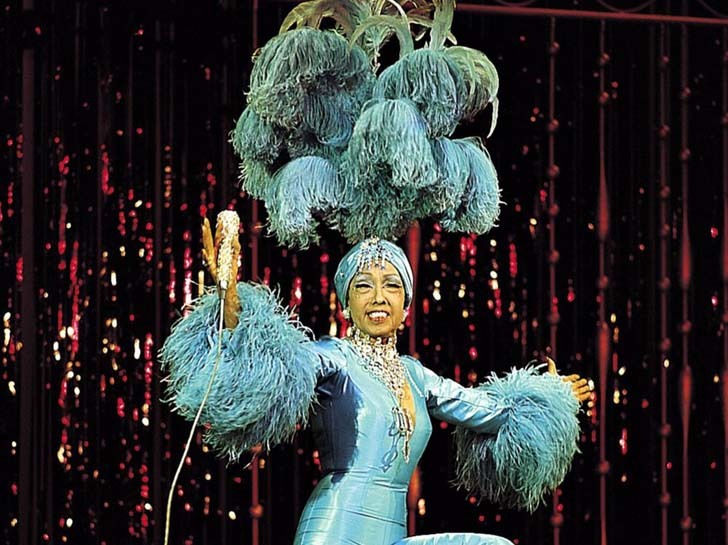 Aside from her exotic costumes, as today's Google Doodle blog notes, she became known for celebrating "female liberation and African cultural identity." Baker was an activist, fighting racism through her work with the NAACP and participation in the March on Washington. She called the 12 children that she adopted from various ethnic and cultural backgrounds her "rainbow tribe." She also fought for the French Resistance during World War II. It's these many lives of Josephine Baker that the Doodle attempts to capture. "It's almost impossible to sum up such a multi-faceted figure, which is why today's Doodle is in a slideshow format highlighting several of Baker's most impactful accomplishments," Doodle designer Lydia Nichols told Refinery29. "The bold, limited palette and simple aesthetic were influenced by poster art of the 1920s and 30s when Baker broke onto the scene." Today, listen to "J'ai Deux Amors" and raise a glass to Baker on what would have been her 111th birthday.